Many people struggle with figuring out the best way to manage their time. No matter how hard we try, things seem to slip to through the cracks. 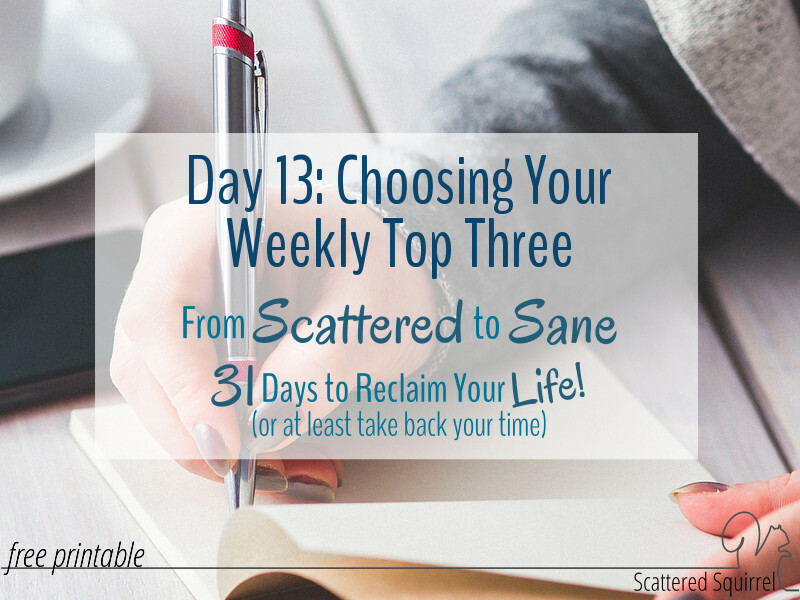 I’m still on my own journey to finding the best way to do this for myself and my family, and this month I’m sharing the system I use to help keep me on track as well as little more of my story. You see, I used to think there was something wrong with me, that I was missing some key component everyone else seemed to have. I didn’t understand what was wrong with me, I just knew that something had to be. My journey to better managing my time has been a long one, and it may still be on going, but I’ve learned many things along the way. Perhaps the biggest and most heartwarming of those lessons was that I was not alone, and neither are you! No matter where you are on your own journey, you are NOT alone, and there is hope that things will get better. I’m going to show you how. 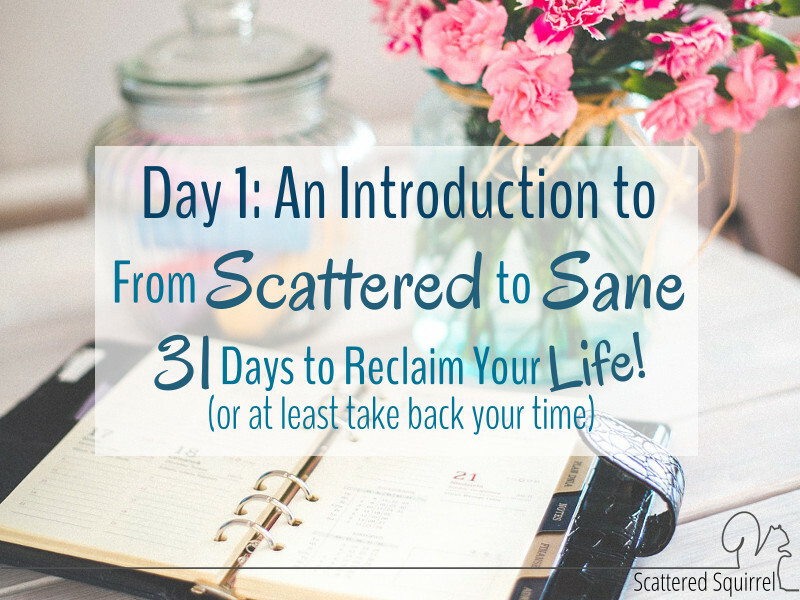 Welcome to my brand new series, From Scattered to Sane – 31 Days to Reclaim Your Life! 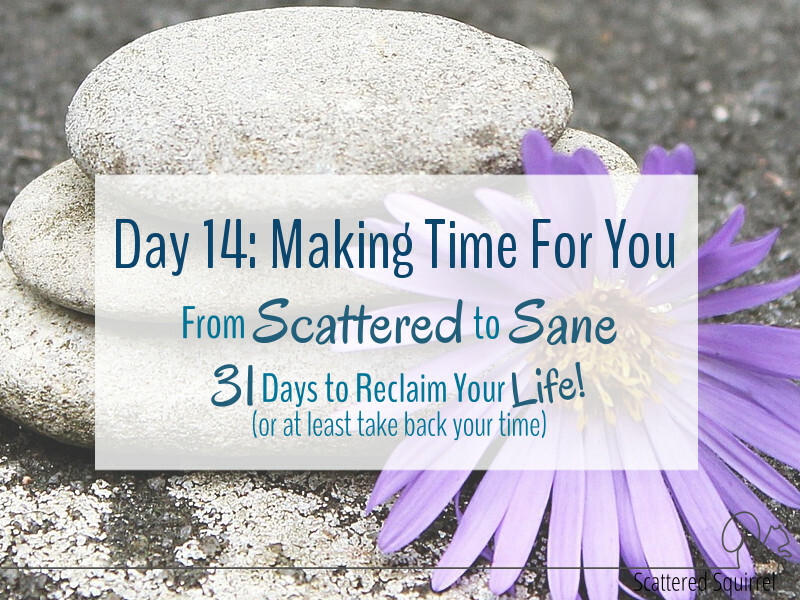 Each day in October I’m going to be sharing steps, tips, tools and motivation to help you take back your time. You’ll be able to find those posts linked right here on this page or feel free to head on over to the side bar and sign up to have posts delivered to your inbox, or follow along on any of my social media channels, because I will be sharing each post there as well as soon as it goes live. 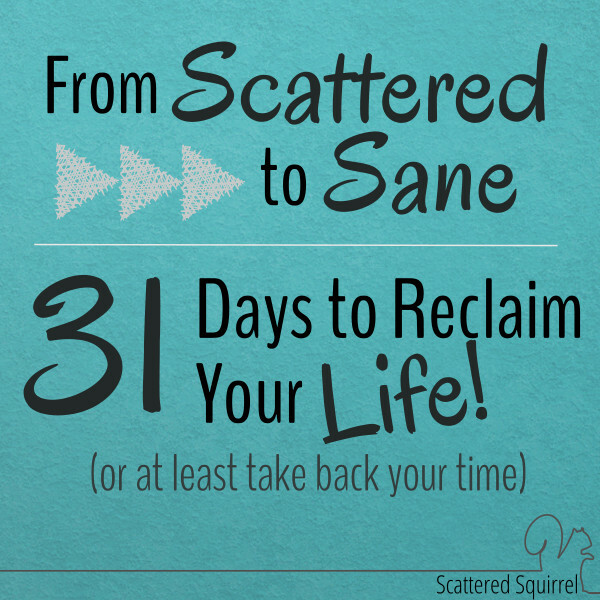 My goal with this series is to help you reclaim your life, or at the very least take back your time. 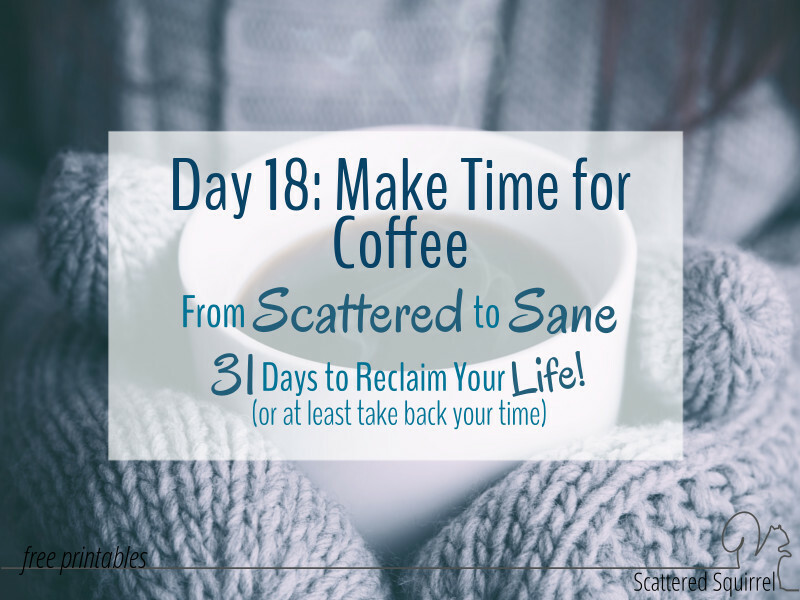 I get it, when life is full and things start slipping through the cracks we can feel as though we’ve become a slave to time and to the tasks we need to accomplish daily to keep life going. It’s a rough place to be, and if I can help even one person find their way out of that space then I’ll consider this series a success. Want to know a little more about what this series entails? This month we’re laying foundation and building structure. 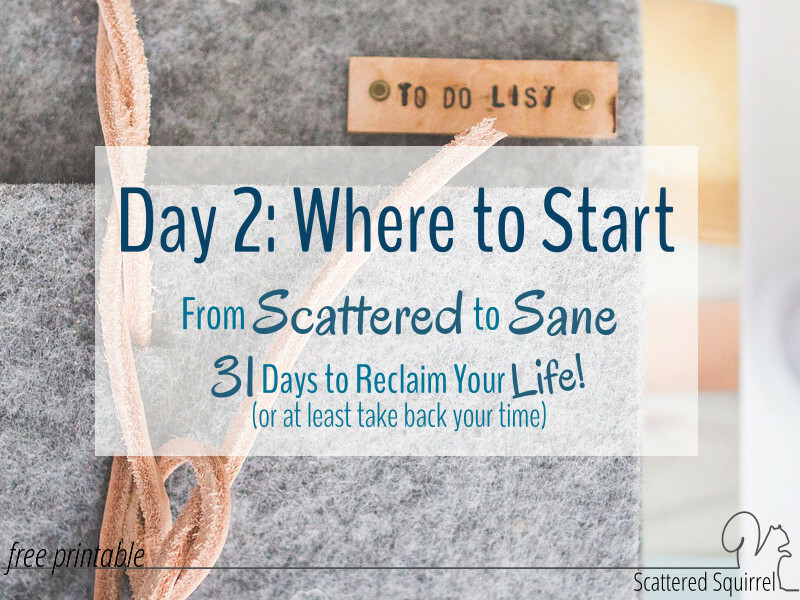 All the steps we take will help us get from scattered to sane, but you need to be willing to set yourself up for success. That means being willing to take it one step at time in one area at a time. You cannot do it all, and more importantly, you shouldn’t even try. 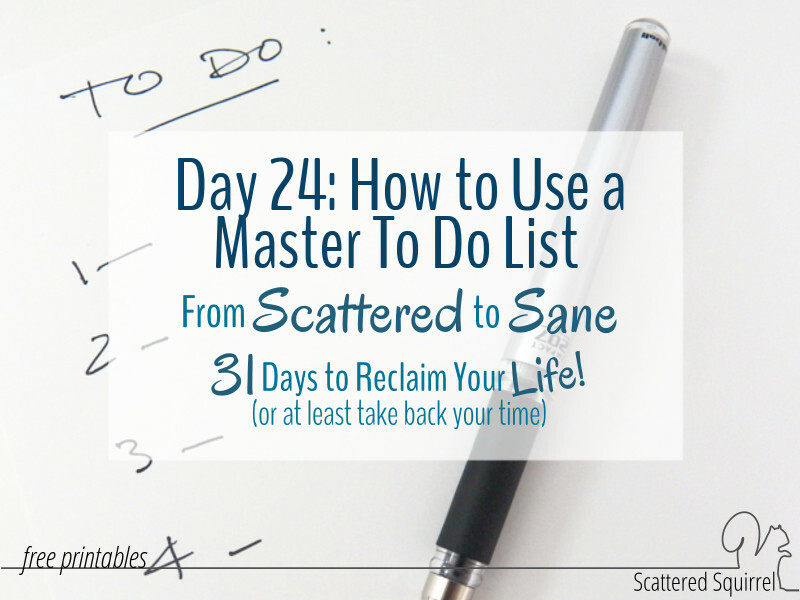 We’ll talk about ways to figure out how to not do it all without dropping the ball, but before we can even start thinking about that, we need to figure out where to start. 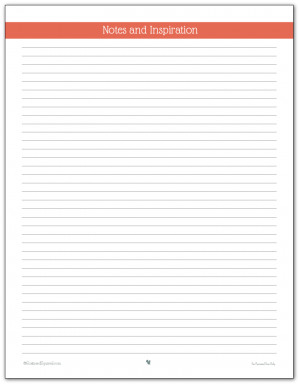 When it comes to creating to do lists and building routines it seems like every guru and expert have their own ideas of how that is best done. That is because they have all found a way or created a system that works for them. Today I’m going to share with you a system that has been working well for me for many years. I have no real name for it, though I do often refer to it as my Magic Three plan or formula. 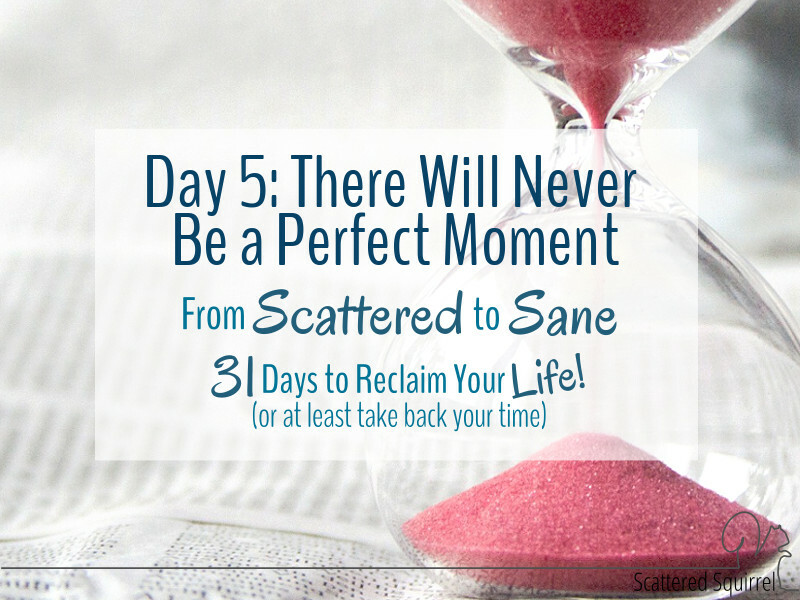 No matter how crazy life gets, this system has been helping to keep me on track for a number of years now. 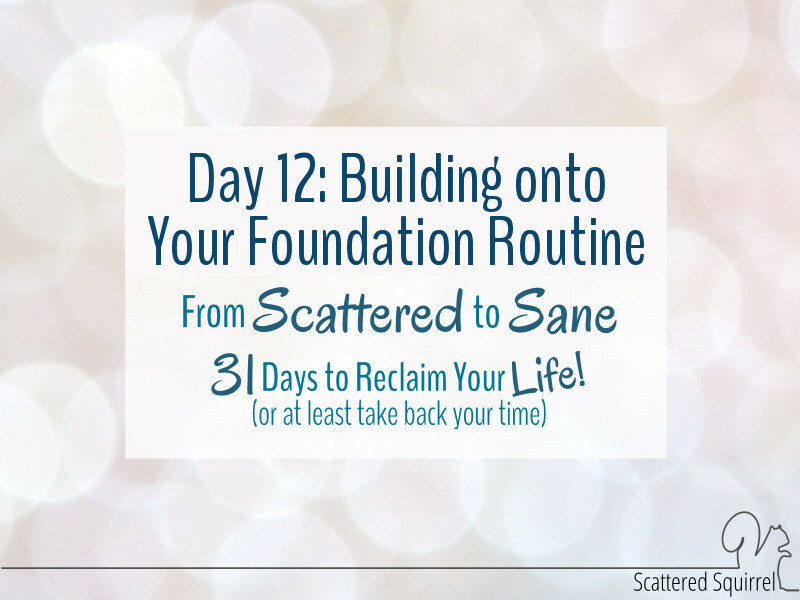 It allows me to bounce back from scattered and overwhelmed times and it the foundation for all the other systems in my home. And now, I’m sharing it with you. 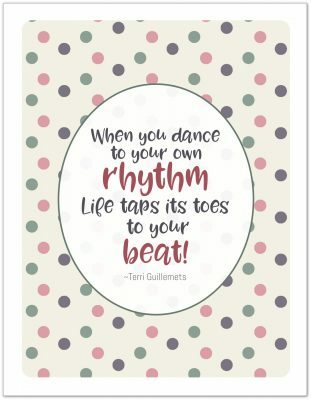 When your world has gone topsy-turvy, upside down, inside out and backwards, a foundation routine will keep things flowing. These three things are the motions you go through when you’re … well… when you’re going through the motions. The biggest hurdle to any new routine or system isn’t the time it takes to implement. It’s not the daily tracking. Nor is it the effort we put into it. Nope, the biggest hurdle for many of us is simply getting started. That first step can be the toughest step to take. Not because it’s hard, but because it is the first! There always seems to be a reason a wait. Make it easy to accomplish your tasks and meet your goals by figuring out ways you support yourself. 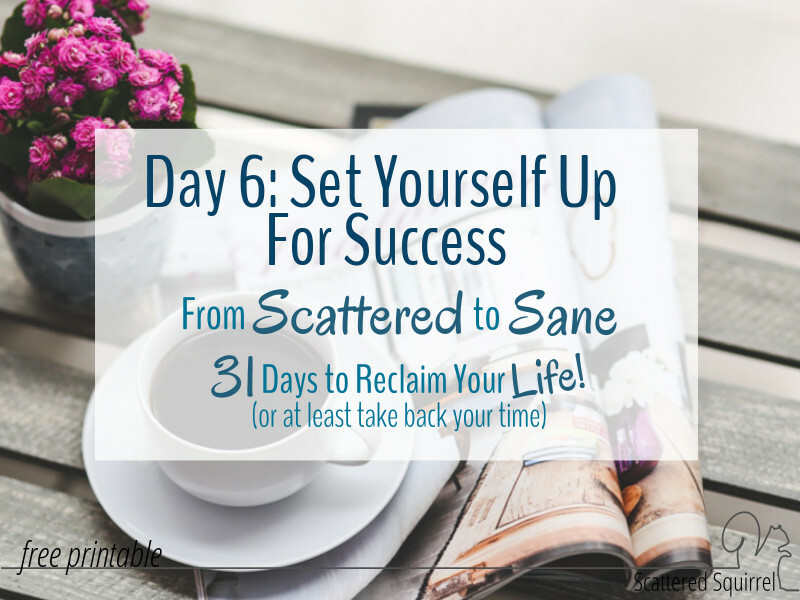 It’s important to take some time to set yourself up for success and make your job easier! 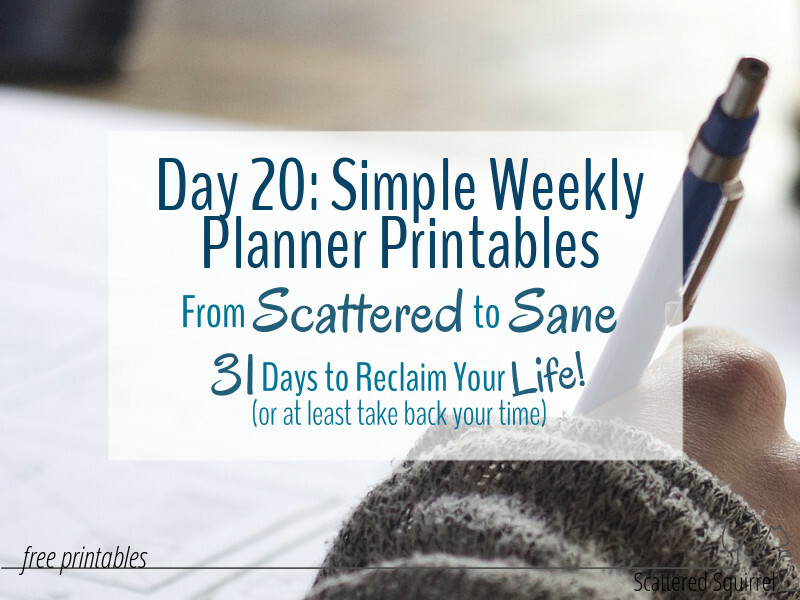 I wasn’t always a planner user. It took me a while before I started to see what a powerhouse tool is good be. 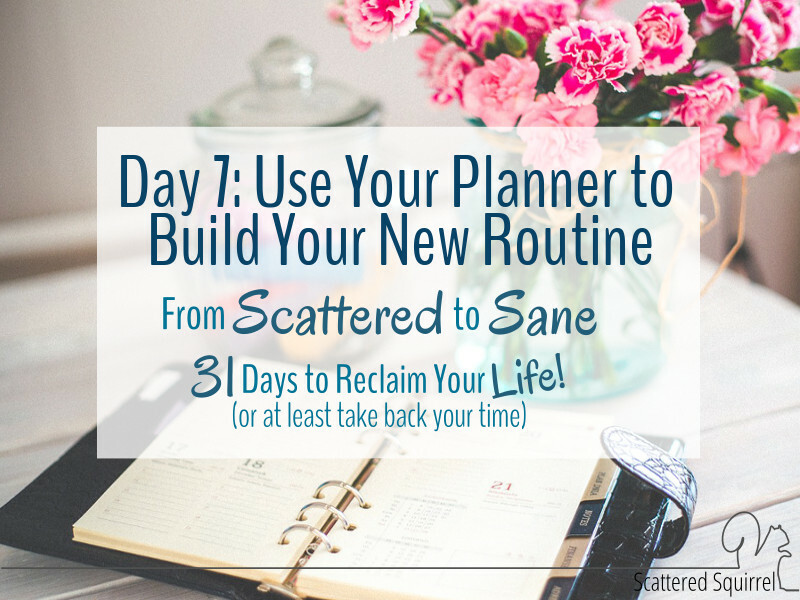 A planner can be used for so many things and it is your best asset when it comes time to build your new routine. 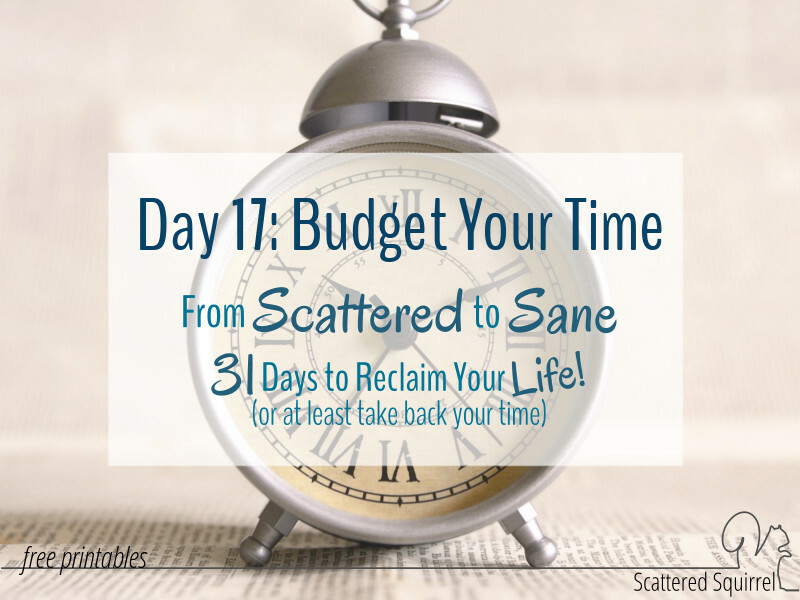 Team it up with a timer and you’ll find it easier to stay on track. 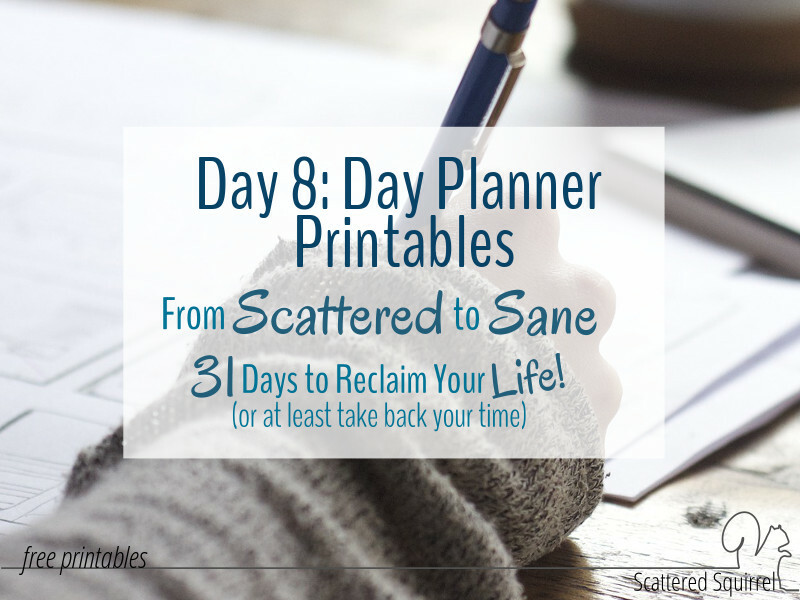 What better way to work on these new routines we’re building than by using some new planner printables. 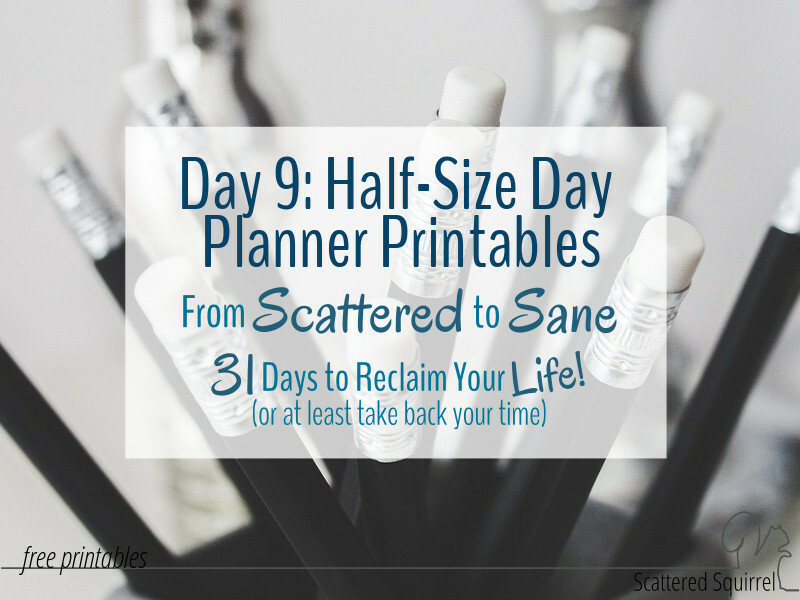 My new, full-size daily planner printables are all in this post. I designed them to be simple but useful. 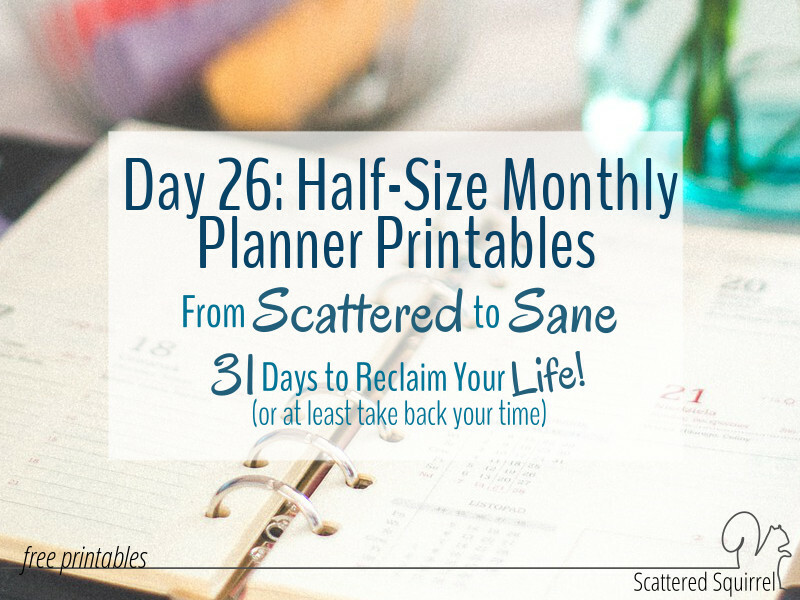 You know I couldn’t create new daily planner pages and not make a half-size version right? 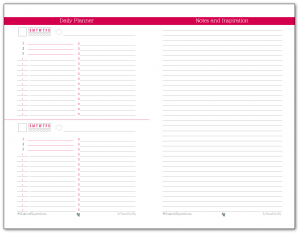 There are two different versions of the daily planner that you can choose from. Sometimes we find ourselves lagging and in need of a little something to motivate us. For me, that something often comes in the form of my favourite quotes. Today I’m sharing my four favourites in the form of printable poster that you can use in your planner or hang somewhere you can see them when you need them. 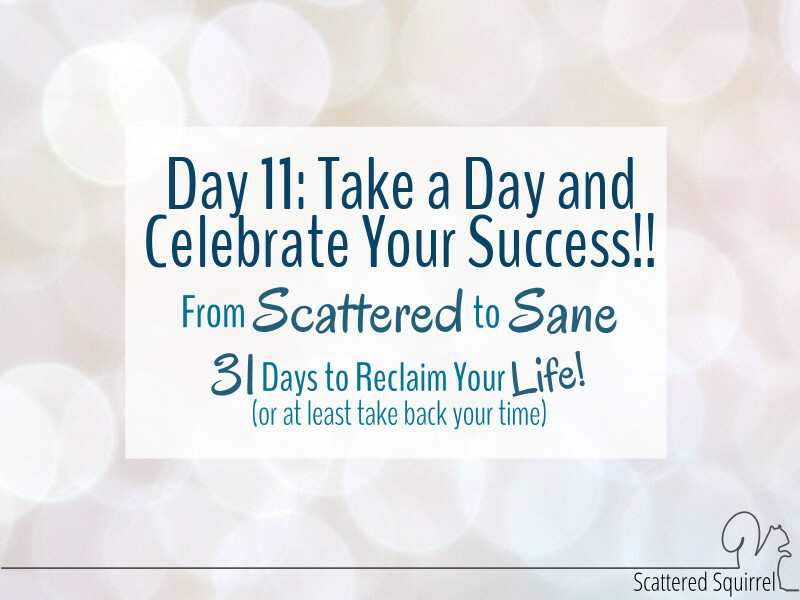 Building new routines can be really tough, so today I want you to take some time to celebrate your success! Any success. Even if you’ve just gotten started. especially if you just got started! Success doesn’t have to big to warrant some celebrations. Often, the smallest successes lead to the biggest changes. 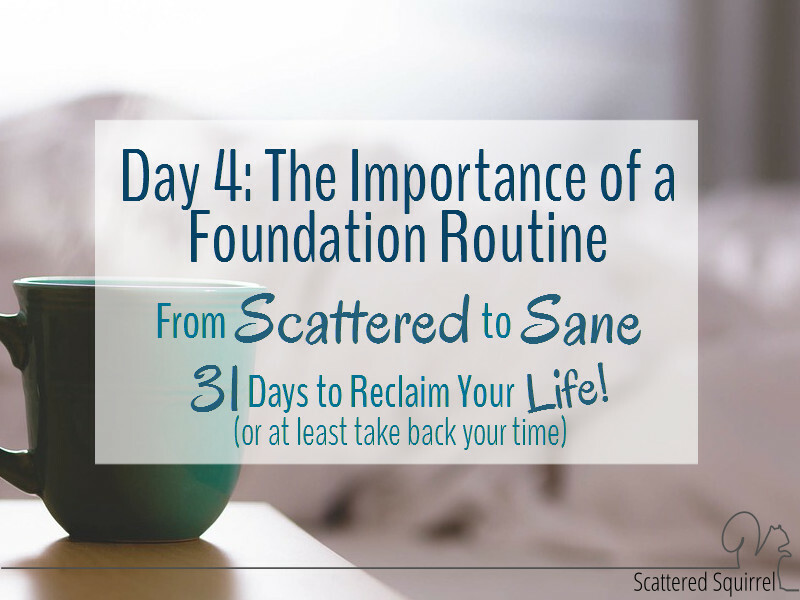 For the first part of the month we spent a lot of time working on our daily foundation routine for the area of our life that we’ve chosen to focus on for this challenge. The dailies are the the toughest ones to nail down, because they require some of our attention each and every day. 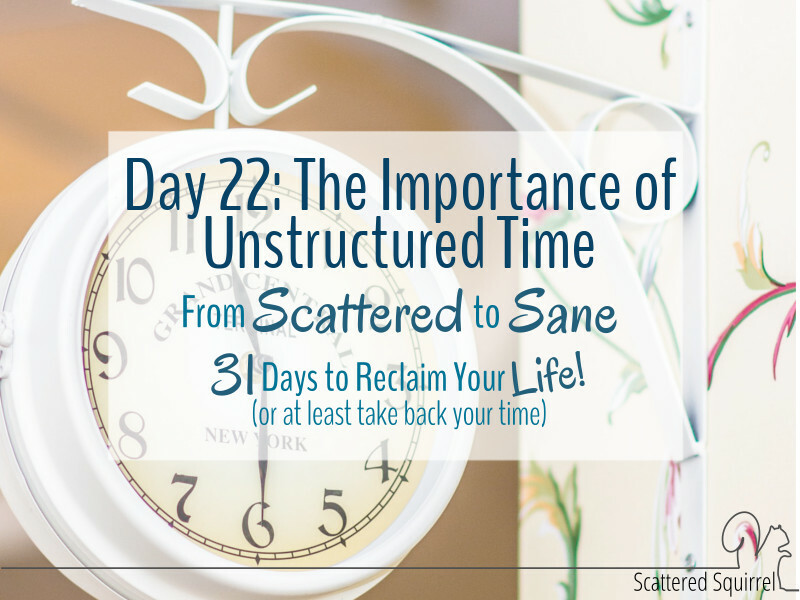 Now it’s time to build onto those so we can create a really solid foundation for our time management system. Daily routines are the foundation upon which our foundation routines are built. Though they can help carve out pools of sanity in our scattered worlds they are not enough to help take us from scattered to sane. We need to keep building on them. Keep that momentum going so we can create a more solid base. 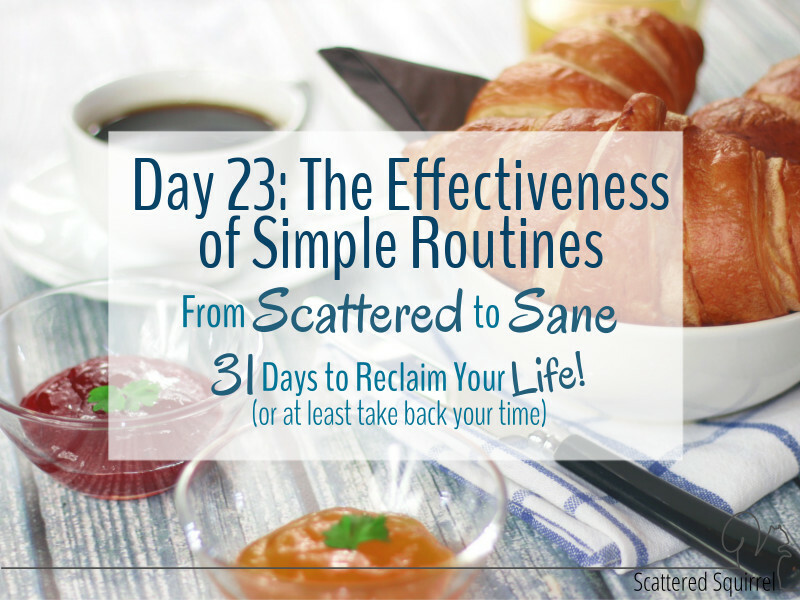 It’s time to start building our weekly routines. It is so important to remember that we need to take time for ourselves. When life feels scattered and chaotic this becomes even more important. I know it sounds counter intuitive to essentially take time out when you already feel like you’re behind, but I promise you it is one of the best things you can do for yourself. Perfect is a weird paradox of a word. It sounds rather happy and positive but when left unchecked it can pack one heck of a wallop to our self-esteem. 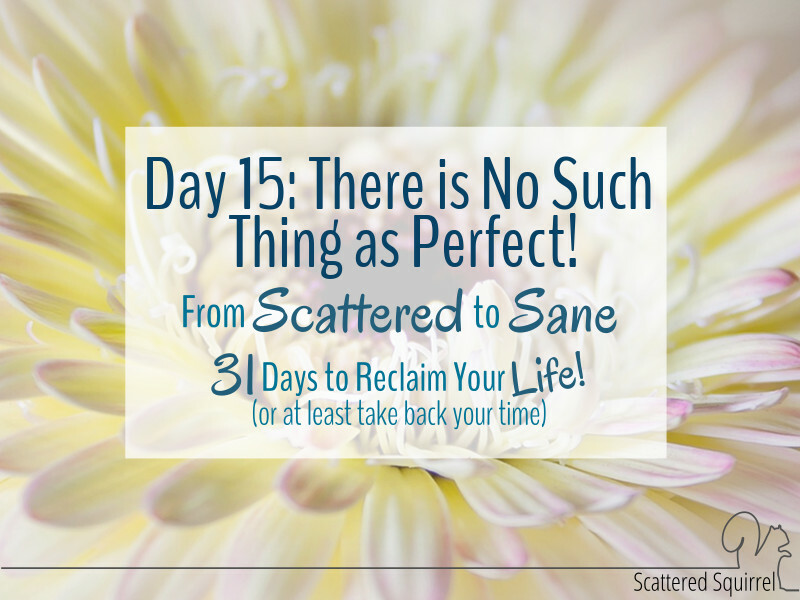 It’s so important to remember that there really is no such thing as perfect, it’s just an ideal that isn’t worth trying to live up to. 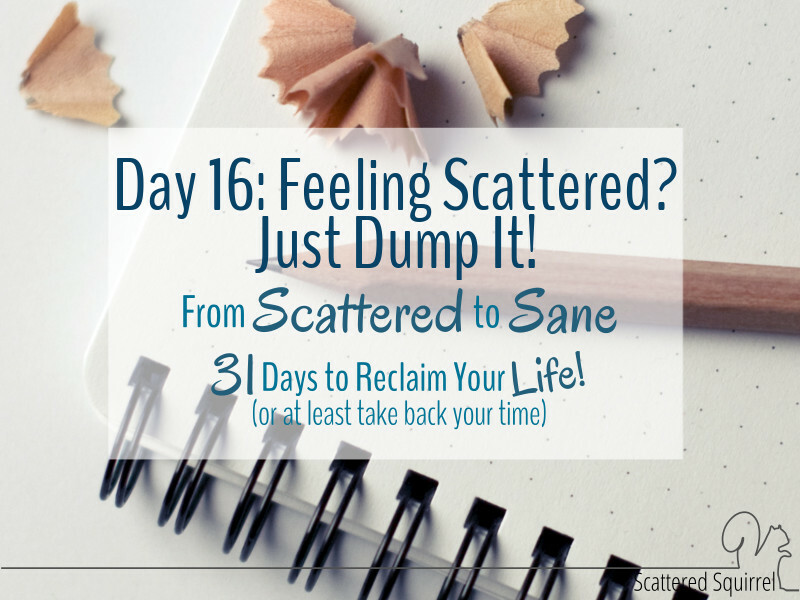 Day 16: Feeling Scattered? Just Dump It! When we are scattered, the solution is not always so simple. When we are scattered it’s not a physical thing. We can’t just pick ourselves up and put ourselves away. Scattered in this instance is a feeling and a state of mind. It’s an abstract. So what do we do when we feel scattered? 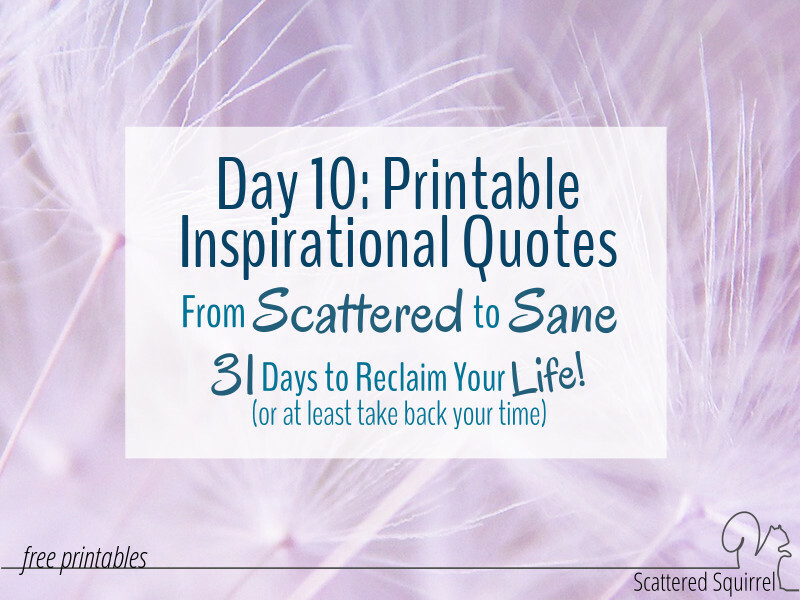 How do we unscatter ourselves and move forward? It is so easy to get busy with all the things we think we need to be doing, that we forget to make time for the really important things. Knowing where our priorities are, and honoring those boundaries, can help us make sure we’re doing the things we really need to be doing, and allows us to make time for some of those things that we really want to do do. 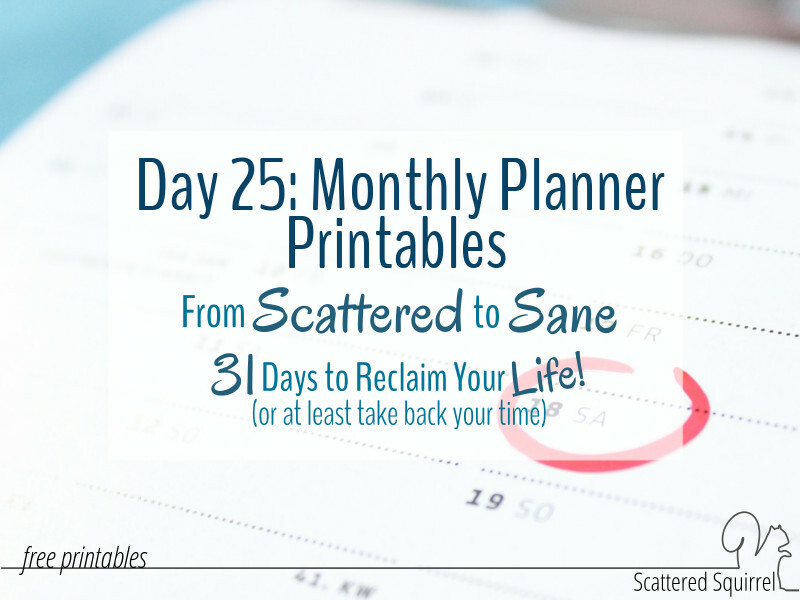 Planners are a great tool to use to keep ourselves on track, but they’re only effective if we actually use them. 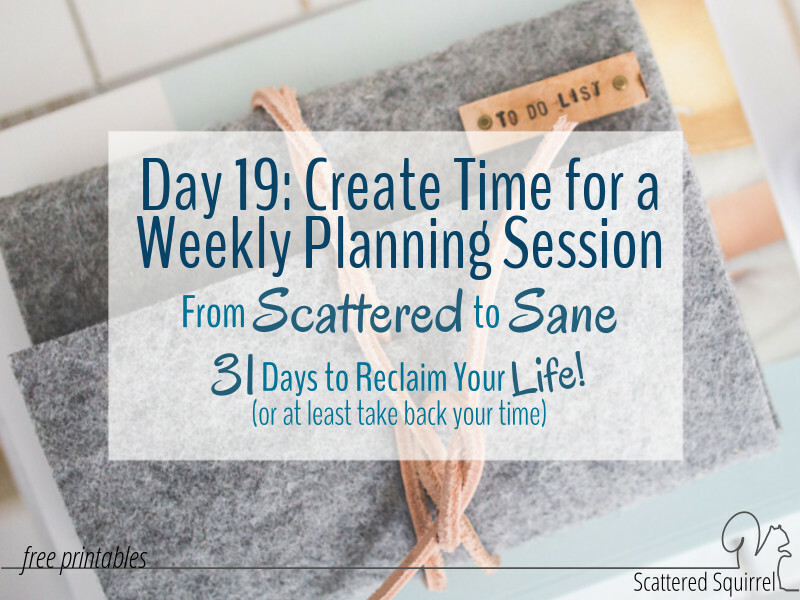 Creating time for a weekly planning session is a great way to plan out your week with intention and honor your priorities. 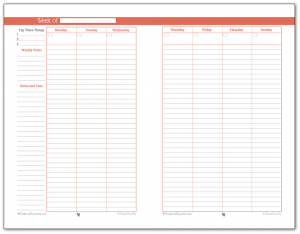 Planner pages don’t need to be complicated to be effective. Sometimes simple works just fine. 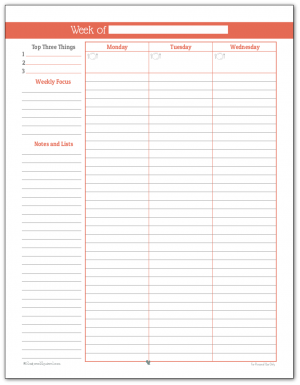 I created these weekly planner printables in the same style and colours as the daily ones above. 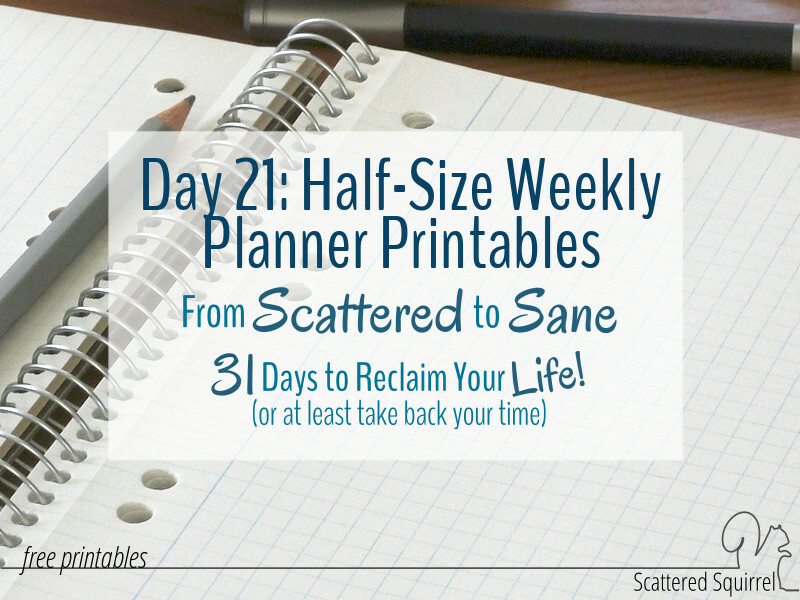 Just like with the daily planners I made half size versions for the weekly planners too. I hope you’ll check back each day this month to see what new stuff I’m sharing. I’ll also be sharing each post on all our social media channels, you can follow along on Google+, Twitter, Facebook, Instagram, and Pinterest! I hope you have as much fun following along as I’m having sharing this all with you!